Video-F-500 EA TKO Nozzle Extinguishes Car Fire in 10 Seconds! This excellent article from the National Institute for Occupational Safety and Health (NIOSH) was written after an investigation into a tragedy caused by a coal silo explosion in South Dakota. 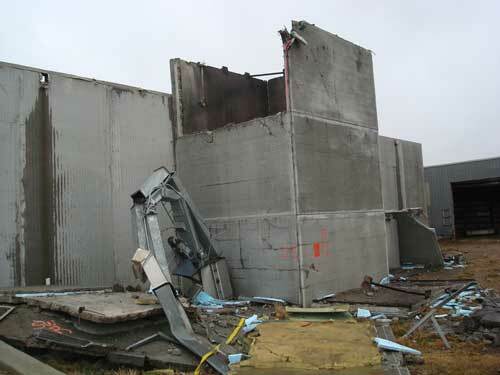 NIOSH describes what caused the explosion and how it could have been prevented. Fire departments should be aware of the hazards associated with combustible dusts found in almost every jurisdiction, including grains, plastics, wood, chemicals, metals and coal. Fire departments should review standard operating guidelines (SOGs) concerning firefighting silos with combustible materials and train to safely and effectively fight these fires. Pre-emergency planning should be conducted for every silo in the department’s jurisdiction. When attacking a silo fire, it must be understood that foam won’t penetrate and extinguish the fire and applying water will cause flare-ups that can easily lead to explosions. The article recommends “F-500 Encapsulator Agent” to penetrate and cool these combustible dust fires.For more information, Contact us.